If you make a mistake in life, it can be all too easy to come into contact with the criminal justice system. Getting free of that mistake, though, can be another story entirely. Many people, particularly those of limited means, can find themselves buried under a mountain of court-related fines and fees, even as they’re working to get their lives back on track. 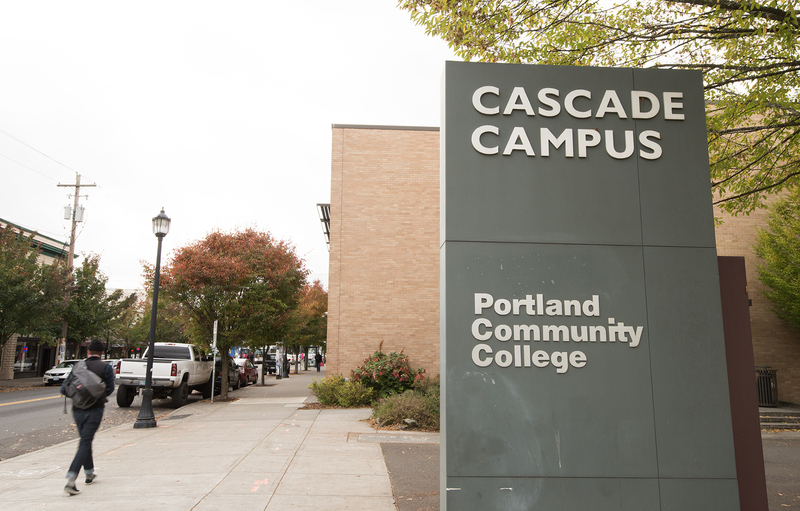 Last month, Legal Services Day at Portland Community College’s Cascade Campus was designed to help low-income community members climb out from beneath that mountain. The event is a collaboration between the Multnomah County District Attorney’s Office, Multnomah County Circuit Court, and Metropolitan Public Defender’s Community Law Division. It recreates the functionality of an actual courtroom in order to waive people’s outstanding fines and fees in exchange for community service. It was staffed entirely by volunteers, including judges, lawyers, clerks and PCC’s paralegal students. Legal Services Day marked the first time that PCC has hosted the event. It will now be held at PCC twice per year (March and September) and has the capacity to serve up to 120 people each time. The event provided free legal services to 92 PCC students and community members, and waived tens of thousands of dollars in court fines and fees. Tupper said it was a great experience for her students, who as volunteers were an integral part of the proceedings. According to Tupper, many people have their driver’s licenses suspended due to unpaid fines and fees, which can send them into a financial hardship. Without a driver’s license, it can be difficult to apply for housing, school, or most jobs, and many have to resort to driving without a license in order to get around. If they’re pulled over, they’re busted for driving without a license, they go back to court, and the spiral just gets worse. The event offers people a way out by waiving $100 in fines and fees for every one hour of non-court mandated community service. This includes drug and alcohol treatment, or parenting classes, up to a maximum of 80 hours. When they hit the maximim, all of a participant’s outstanding court fines and fees are waived. Only Multnomah County court fees and fines can be waived, and it can’t get rid of compensatory fees, child support, or restitution. What an amazing, inspiring and incredibly creative solution. Bravo! Is this event also for the staff, because if so I would like to take care of a few fees as well. Can you please send me a reminder for what day it is please and thank you.